An award-winning author team challenges students to think critically about the concepts, controversies, and applications of social psychology using abundant tools, both in text and online. (NEW) infographics examine important topics like social class, social media effects, and research methodology. InQuizitive online assessment reinforces fundamental concepts, and PowerPoints, test questions, and (NEW) Concept Videos, will help you create the best course materials in the shortest amount of time. Critical thinking and real-world application are important skills for the students in this course. This text reinforces these skills throughout each chapter from start to finish. NEW infographics ask students to take a closer look at engaging data, and “Focus On” features highlight the applications of social psychology findings to real-life situations. 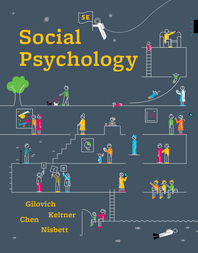 An award-winning author team wrote the first research-based approach to social psychology. 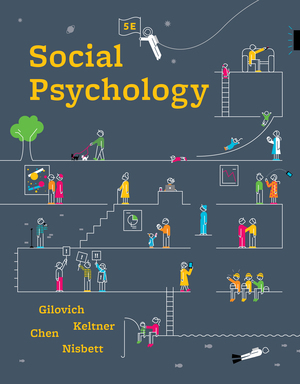 Every chapter showcases the empirical basis of social psychology concepts. It is important for students taking this course to realize that the concepts they learn are verifiable by observation or experience rather than theory or pure logic. Our test bank, PowerPoints, and NEW Concept Videos save you time and effort when preparing for lecture or assessment. All support materials have been vetted for accuracy and offer solutions for expert teachers and new instructors alike. You can also take advantage of the PowerPoint slides developed and used by the text authors themselves.